Integrating Facebook Messenger with Mozilla Firefox. If your are both Mozilla Firefox users with a heavy presence on Facebook, this post is just for you. Most of you might know that Mozilla has introduced Social API, starting with Firefox 17, which makes social content providers to easily integrate it’s services with Mozilla Firefox. Facebook was first provider to make use of Mozilla’s Social API and integrated some of it’s services with Mozilla Firefox. 1. Log in into your facebook account. 2. 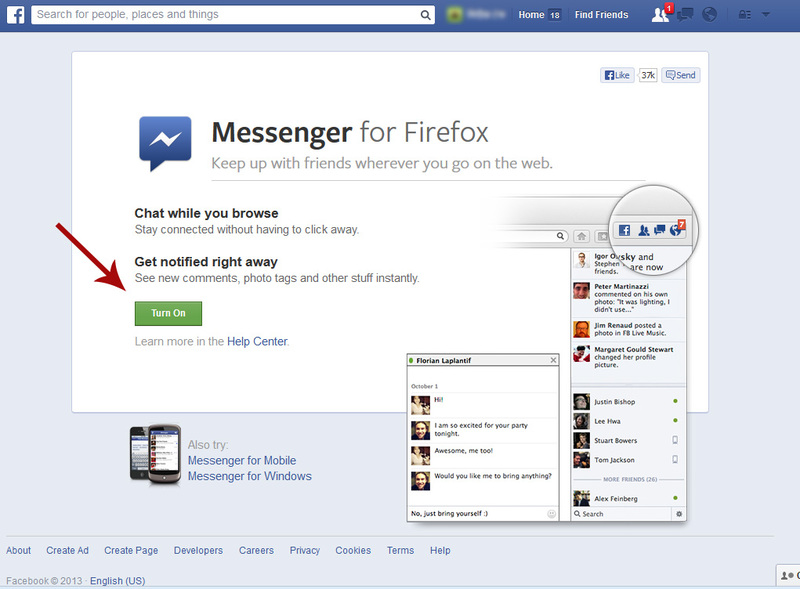 Go to facebook.com/about/messenger-for-firefox . 3. Click on “Turn On“, to enable Facebook Messenger. You are then asked for confirmation to enable the service. Click “OK” to proceed. 4. You will now notice a vertical bar to right of your web browser. If you have any problem with unavailability of services, restart the browser. 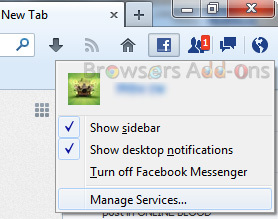 Tip: Check “Keep me logged in” if you want the messenger to be turned on every time you start the Firefox browser. How to check updates for Mozilla Firefox Plugins and Addons, at one place. Scan for Updates and get Notification from you Favorite Sites without Subscribing with Update Scanner. Next story An Insightful social sharing made easy with Buffer extension for Chrome. Previous story Mozilla unveils Minion, an Open Source Security Testing Platform. Cortex, A Fastest Means To Share Information Across Social Platforms. Chime, One Extension for all Social Network’s Notification Needs.